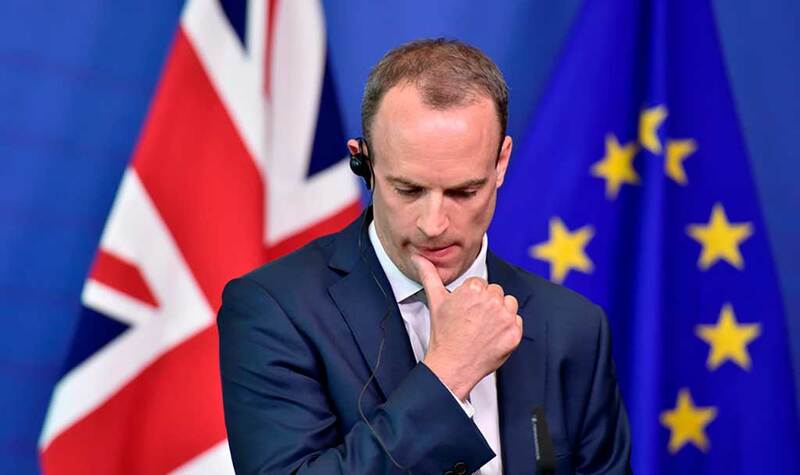 Brexit Secretary Dominic Raab quit the cabinet over "fatal flaws" in the UK's draft Brexit agreement with the EU. None of us would kid ourselves that the rights of UK citizens in Europe (and vice versa) is anywhere near the top of the agenda nor newsworthiness in the big Brexit scheme of things. Indeed with parliamentary resignations, infighting and generally shambolic political positioning continuing to take the headlines, the actual content of the draft agreement is almost a footnote alongside the much more media friendly sight of May-baiting – if the British Prime Minister’s most prominent phrase in a tag cloud of her thoughts wasn’t FFS we’d be astonished. But whether you find the situation entertaining, worrying or just embarrassing, there is information in the draft that gives us our clearest indication yet of our position as UK citizens living and working in the EU post Brexit. In the BBC synopsis of the full draft agreement they state this on movement rights of people. This tells us far more than we have known thus far, and in our opinion gives a pretty good indication of our likely outcome – provided there is a deal of some sort of course. Our thinking is that with all the effort and energy on the issues of the hard border in Ireland, and cross border trade deals ongoing, this bit of the agreement has been achieved with consensus and is unlikely to get further time. Nor is it powerful enough in either direction to be used as ammo by one side or the other. That makes sense too. Basically both sides are avoiding upsetting their own citizens abroad, without any ongoing commitment to ongoing freedom of movement after Brexit. Would the same agreement stand if there is no deal? That is a far tougher one to anticipate and though we at least know how our respective Governments are thinking, some may think a no deal Brexit is more likely to involve some obstinate-for-the-sake-of-it steps. This information published in the draft proposal is the first time we have seen what is intended for us. The good news is that it is also the first time we have seen anything in writing confirming the reassurances we have been giving ourselves that everything will be alright. But the absence of any reference to an ongoing movement agreement should certainly be read by anybody living and working in Europe who is not yet technically a resident to become one. Presently the residency application is a simple administrative process. Post Brexit it may be a completely different situation. The full BBC summary of the agreement text is as follows. What is in the withdrawal agreement? But the controversial part relates to what will happen to the Irish border. The agreement includes a “backstop” – a kind of safety net to ensure there is no hard border whatever the outcome of future trade talks between the UK and the EU. If there is no trade deal in place by the end of the transition period, the backstop will mean that Northern Ireland would stay aligned to some EU rules on things such as food products and goods standards. It would also involve a temporary single customs territory, effectively keeping the whole of the UK in the EU customs union.